A number of industries and businesses still rely on fax machines for at least part of their communication. These may include law firms, financial institutions and real estate companies. Thankfully, there are services where you can not only to send faxes online, but also receive them. Positioning itself as "the easy way to fax online," eFax offers a free tier of service on its website appropriately called eFax Free. When you sign up for an account, you are provided with a free fax number where you can receive faxes. The free account is limited to no more than 10 pages per month and does not include any of the premium features offered by the paid accounts. File sharing is limited to 300 megabytes. What Is IRS Form 147c? If you would like to switch the area code of your assigned fax number or utilize a toll-free number (e.g., 800, 888, or 877), you will need to upgrade to a paid plan starting at around $12.50 per month, plus a $10 setup fee. The paid plans also unlock the ability to send faxes online, upgrades the monthly inbound page limit to 150, and adds such features as a mobile app, electronic signature and unlimited online storage. Faxes can be received by email, via the eFax Messenger desktop software, through your eFax account on their website, or via the mobile app for Android or iOS. With the mobile app, you can send and annotate faxes, as well as add your digital signature. Similar to eFax, FaxBetter also has a standard paid account as well as the FaxBetter Free tier at no cost. At the free level, FaxBetter already includes a dedicated toll-free fax number, making it easy for you to receive faxes from people all across the country without the sender incurring long distance charges. This can also help to present a more professional image for your company if you are faxing for business purposes. You also get free storage for about 1,000 pages, and you can send up to 20 pages per month. No credit card is needed during the sign up process. A significant downside to keep in mind is that you need to receive a fax at least once every seven days if you wish to keep your dedicated toll-free fax number. Each time you receive a fax, you will be notified via email. You are also limited to viewing your faxes on the FaxBetter website, and you cannot send faxes for free. There are no advertisements on the faxes you send or receive through FaxBetter. If you find that your needs exceed that of the free account, the standard paid account starts at around $6 per month. In addition to allowing you to send faxes too, the paid account also upgrades you to unlimited storage and increases your fax page limit to 500 pages per month. FaxBurner: The free package offers a disposable, non-permanent fax number with which you can receive up to 25 pages per month. Fax.Plus: The free pricing plan includes a total of 10 free pages sent, but you need to upgrade to unlock the ability to receive a fax. Many of the paid online fax companies, like RingCentral and MetroFax, also offer a free trial if you want to give them a try. 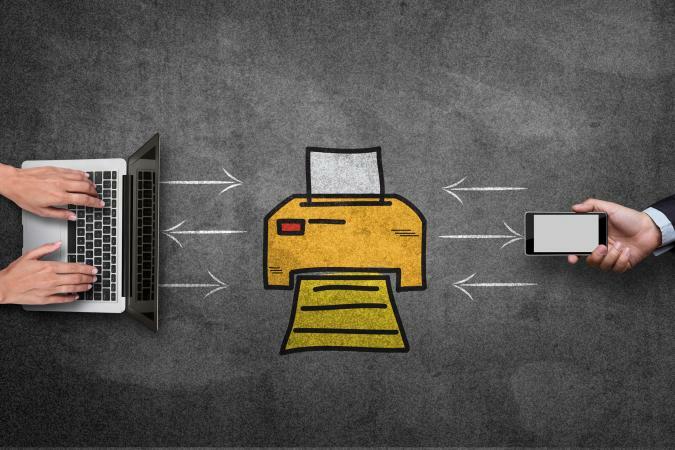 Even though much of modern communication has moved away from fax machines and toward digital alternatives like business email, it may still be necessary for you to send and receive faxes now and then. By utilizing one of the websites listed above, you can send and receive these documents without a physical fax machine of your own.